CONFIDENTIAL COMMERCIAL INFORMATION, DRAFT 6/27/12. 1. Which models are involved in the recall? Delta Electronics (Dongguan) is recalling the Harbor Breeze Bath Fan with Heater and Light that contains the model number 7109-01-L. The affected fan was manufactured in China between August 2010 and March 2011. This fan was exclusively sold by Lowe’s, Lowe's item number is 194492. If the fan grille is improperly attached to the fan body with screws that are longer than those supplied with the fan, the screws could prevent the heater fan blade from rotating properly, causing the fan to overheat. In addition, if the heater fan assembly is turned on but the heater fan is not rotating properly and the ventilation fan is turned off, the fan may overheat. 3. Have there been any reported incidents? There have been reports of overheating, including smoke and/or flames in the fan housing. None of the reported incidents have involved personal injury, and a few have included minor property damage. 4. What is our action to address the concern? Affected consumers will receive a free retrofit heater fan assembly kit, which will be installed by a trained service technician free of charge. 5. How to locate the fan’s date code and participate in the recall? Step 1. Please turn off the circuit breaker that controls the power to the bathroom fan before trying to locate the date code. Step 3. 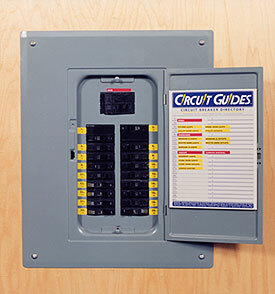 Check to be sure the circuit breaker turned off power to the Heat, Ventilation and Light. Step 7. Identify the date code on the metal housing. If the date code start with 0, 11, 12 or 13, you should participate in this recall. 6. What should I do if I am having trouble locating the date code? If you are having trouble locating the date code, please call the toll free number 1-855-301-6578 between 9 a.m. and 5 p.m. EDT Monday through Friday to schedule a trained service technician who will identify your date code free of charge. 7. What should I do to participate in this recall? To participate in this recall, please call toll free number 1-855-301-6578 (between 9 a.m. and 5 p.m. EDT Monday through Friday) or complete the following form to get replacement part.